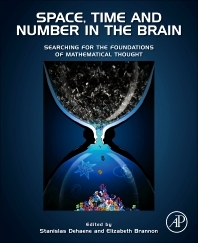 The study of mathematical cognition and the ways in which the ideas of space, time and number are encoded in brain circuitry has become a fundamental issue for neuroscience. How such encoding differs across cultures and educational level is of further interest in education and neuropsychology. This rapidly expanding field of research is overdue for an interdisciplinary volume such as this, which deals with the neurological and psychological foundations of human numeric capacity. A uniquely integrative work, this volume provides a much needed compilation of primary source material to researchers from basic neuroscience, psychology, developmental science, neuroimaging, neuropsychology and theoretical biology. Section III Shared Mechanisms for Space, Time and Number?